As rightly said by Aristotle, “The roots of education are bitter, but the fruit is sweet”…But, can we make these roots a little sweeter for our little ones? 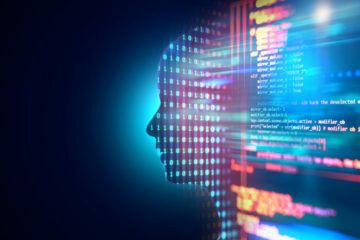 Yes, we can, by simply making the process of learning more engaging and interesting. And educational toys are a great way to do that as children spend a great deal of time with their toys and they learn while playing. Funvention, the winner of the 2018 startup pitch at Techstory Hustle, is an innovative startup that offers a range of toys to ignite the passion for learning in your little ones. 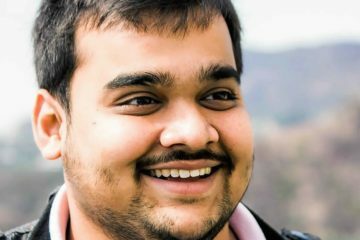 So, let’s have look at some really cool and smart educational toys offered by this startup. The Kit Contains –Precise laser cut puzzle pieces, glue, marbles, & instruction guide. 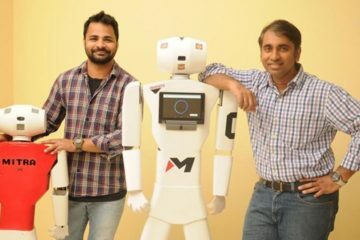 A unique 3D model from Funvention that will give your child the learning experience in building creative toys. 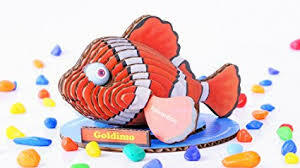 Besides igniting the creative spark in your child, Goldimo 3D model can help foster cognitive development and improve fine motor skills and observational skills. 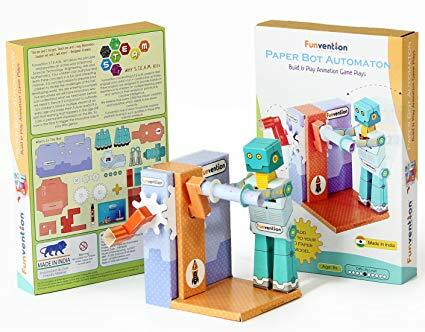 With a detailed easy to understand step-by-step instruction manual and environmental-friendly parts, this is the perfect birthday gift for your little genius. 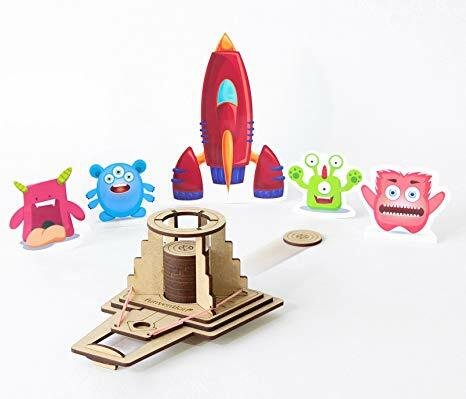 The Kit Contains – Imported MDF Precise Laser Cut Parts to build the Disc Launcher, Aliens and Space Rocket cutouts, Booklet with easy to understand, step by step Picture, text and video instructions, Game Play instructions, Explore & Learn Newton’s Law of Gravity, Puzzles & Fun-Food Recipes for kids. Does your child love rockets and aliens, and often come to you with questions like how rockets fly? Then consider to gift her the Funvention Disc Launcher, which offers a fun way to learn the Newton’s First Law of Gravity, i.e., inertia. This S.T.E.M. hands-on-learning kit provides an active way of learning about scientific exploration, technology, and engineering. It will enhance your child’s reasoning, hand-eye coordination, and observational, cognitive, and fine motor skills. The Kit Contains – Environment-friendly parts, a detailed easy to understand step-by-step instruction manual, and colors. Is your child fascinated by colors and paintbrushes? Or has your little Picasso already drawn and painted her first masterpiece on your walls? Now, don’t wait for another wall to become a victim of her creative expressions. Rather, give her something so that she can create a piece of art that can be displayed proudly. 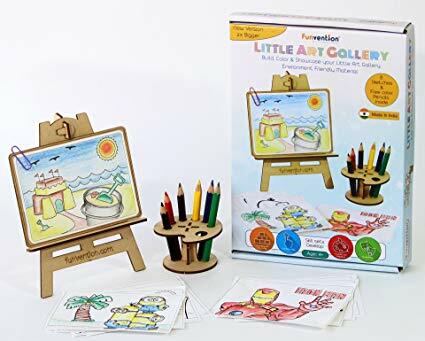 Funvention Little Art Gallery with puzzle and coloring art kit is the perfect gift for sharpening drawing and coloring skills. Apart from enhancing creativity and imagination, coloring can improve motor skills, hand-eye coordination, focus, patience, and color recognition. The Kit Contains – Plywood laser cut paper pieces to build lamp base model, DIY electronic circuit parts, battery, 3D laser cut acrylic lamps +, easy to understand, step by step picture, and text and video instructions manual. This unique Funvention toy can give an idea of electronic circuits and the concept of optical fiber communication. 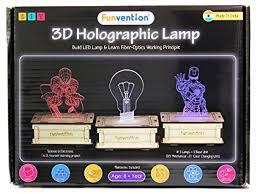 Funvention 3D holographic lamp will give hands-on experience on making creative toys. Your child can make her own lamp and also learn the working principle of the lamp. This engrossing toy can improve your child’s cognitive development, hand-eye coordination, logical reasoning, fine motor skills, and structuring skills. The Kit Contains – Environment-friendly wooden parts and step-by-step instruction manual. This educational toy comes with a set of 6 DIY tops. This is a traditional toy that comes with a creative twist. Your child can not only make tops but can also color them in different shades. Making tops and then coloring these in their favorite hues will be fun for children. The Kit Contains – Environment-friendly parts, easy to understand step-by-step instruction manual, colors, and learning material. This is a toy your little one will cherish for a long time. Making veggie cars by organizing different parts will be a highly engaging activity for kids. While helping or teaching them to make the cars, you can tell them some fun facts about vegetables and how good they are for our health. The result – children will no longer make faces seeing vegetables on their plates. In fact, they might start eating more vegetables. Moreover, they can paint the parts in different colors and give wings to their imagination. 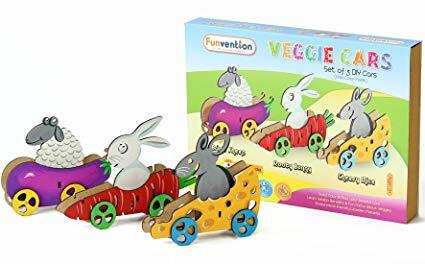 This innovative toy can enhance their hand-eye coordination, problem-solving skills, fine motor skills, and organizing and structuring skills besides teaching them the importance of having vegetables in our daily meal. 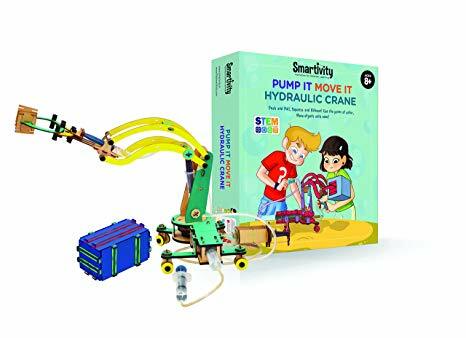 The Kit Contains – All elements required to build a functional hydraulic crane, 1 richly illustrated, easy-to-understand, step-by-step Instruction Booklet, 1 Learner’s Log with the explanation of Scientific Principles, and additional activities for children to experiment with. This is a perfect S.T.E.M educational toy for children in the age group of 8 to 14 years. They can learn the basic mechanism behind hydraulic machines while building one. And that’s exactly what makes the learning process so engaging. Once built, they can use the cranes to lift objects and move them around the house. Further, they also get tools to embellish the project. To sum up, it’s a fun way to learn about hydraulic machines and improve motor skills and analytical skills while doing that. 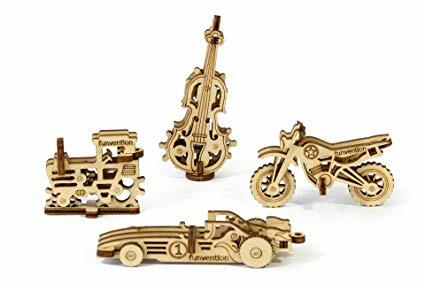 The Kit Contains – A set of 4 DIY miniature 3D self-assembly wooden models (Racing Car, Guitar, Bike, & Tractor), environment-friendly wooden parts, and easy to understand step-by-step instruction manual.. This unique educational toy includes 4 sets of miniature wooden models. The parts are made of Russian plywood with precise laser cutting. So, you don’t need glue to assemble them. The look and feel of the models are superb. You can encourage your child to decorate these miniature models with his or her favorite colors and patterns to further enhance their look and also to bring out the creative stroke in your child. The key skills this toy can help to develop include fine motor skills, creativity and imagination, hand-eye coordination, and organizing and structuring. 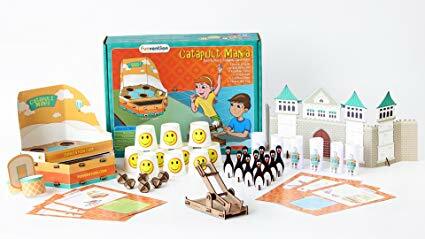 The Kit Contains – Environment-friendly parts to build the catapult unit and 6 different gameplay setups, a detailed easy to understand step-by-step instruction manual, and 6 scorecards to record numerous games score for one or multiple players. A great toy for pretend play. It will be really exciting for your child to make and design a catapult, the ancient war machine used widely in battlefields. The kit also contains setups for different gameplay. This amazingly creative toy can support various key development areas like gross and fine motor skills, sensory skills, cognitive development, hand-eye coordination, logical reasoning, and organizing and structuring. Pretend play can also boost your little one’s social and emotional skills, imagination, thinking skills, and language skills. 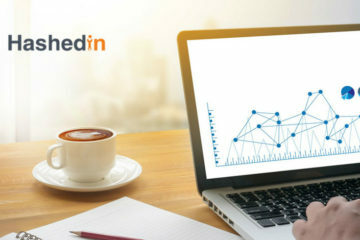 The Kit Contains – Environment-friendly parts, detailed easy to understand step-by-step instruction manual, and learning materials. 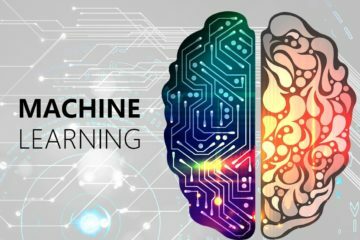 A uniquely creative and animated 3D bot model that your child is sure to love. You can also take part in the activity to make it more enjoyable. A great way to teach kids the basics of gears and how gears or gear mechanism can be used to make the model move. Your child will be able to learn many engineering and mechanical concepts while building this stunning 3D model. This type of educational toy can also enrich creativity and imagination, and improve motor skills, logical reasoning, observation skills, and cognitive development. The Kit Contains – Environment-friendly parts, detailed easy to understand step-by-step instruction manual, colors, and learning materials. Yet another awesome toy from Funvention. 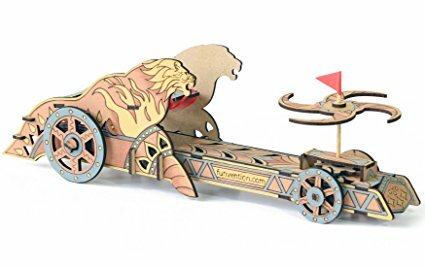 Inspired by Leonardo Da Vinci’s “Scythed Chariot”, Funvention Da Vinci Chariot is an innovative model. Your child can learn the basics of making mechanical models, basics of gears and gear mechanism, and how several gears work together to form a Gear Box. Fine motor skills, logical reasoning, scientific exploration, creativity and imagination, organizing and structuring skills, and cognitive development are some developmental areas this toy can support. Toys are much more than what meets the eyes. They play a key role in the holistic development of children. So, choose toys for your child wisely. 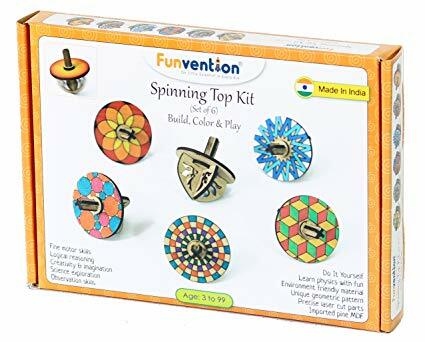 Funvention toys, as the name suggests, are a perfect blend of fun and invention. These toys can give your little geniuses the kind of activities that can sharpen their minds, facilitate early learning, and cultivate innovative and creative thinking for their all-round development.